Since this is a never-ending debate, let’s just assume it was the egg, because not only are they are super yummy, breakfast would be incomplete without them. Also, eggs are a staple for cooking, especially for bakers. Now, whether you’re trying to prepare a decadent crème brûlée or an oozy hollandaise sauce, the chances are that you’ll end up with a lot of egg whites. Perhaps you’ll use them to make beautiful macaroons or an angel food cake. Many others will simply discard them. But did you know you can use those egg whites in terrific ways for health and beauty hacks, too? The clear viscous egg whites are loaded with protein and contain calcium, magnesium, folate, selenium, potassium, and phosphorus. These nutrients impart skin-toning and antimicrobial properties to egg whites that make them an excellent remedy for skin troubles. 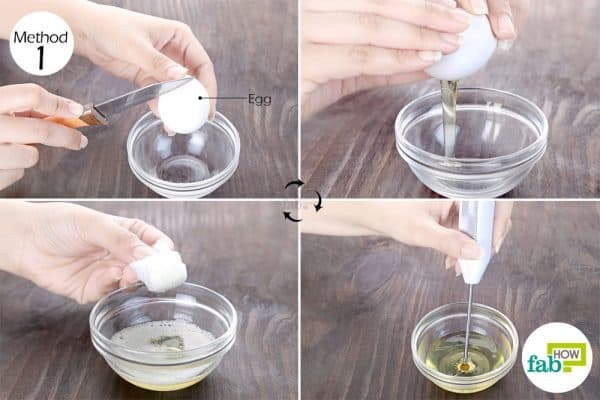 We bring to you the top 10 uses of egg whites for burns, acne, blackheads, and more. A diaper rash is typically the result of a soiled diaper staying on your baby for too long. Egg whites work to relieve the rash by forming a protective barrier on the skin, allowing it to heal itself. The amino acids also assist the skin in faster renewal. Break open an egg and carefully pour only the egg whites into a bowl. Use a motorized hand blender to whisk the egg whites until they become frothy. Clean the diaper area and pat the skin dry. Soak a cotton ball in the egg whites and dab it all over the rash. Let the egg whites dry completely before you put on a fresh diaper. Repeat application at every diaper change to heal the diaper rash. Egg whites can also come in handy to provide relief from the pain of a minor burn. Egg whites help take the heat out of the burnt area, and the nutrients in them help heal and regenerate the skin quickly. As soon as you sustain a minor burn, hold it under cold running water to cool down the skin quickly. Then proceed with applying the egg whites. Caution: Do not apply egg whites on broken skin, as doing so can lead to salmonella infection. Soak a cotton ball in egg whites. Dab it over the burnt area to saturate the skin with the egg whites. Keep applying fresh layers as the previous layer dries up. Once the pain or burning has subsided, wash off the egg whites. Repeat application for 2 or 3 days to heal a minor burn completely. 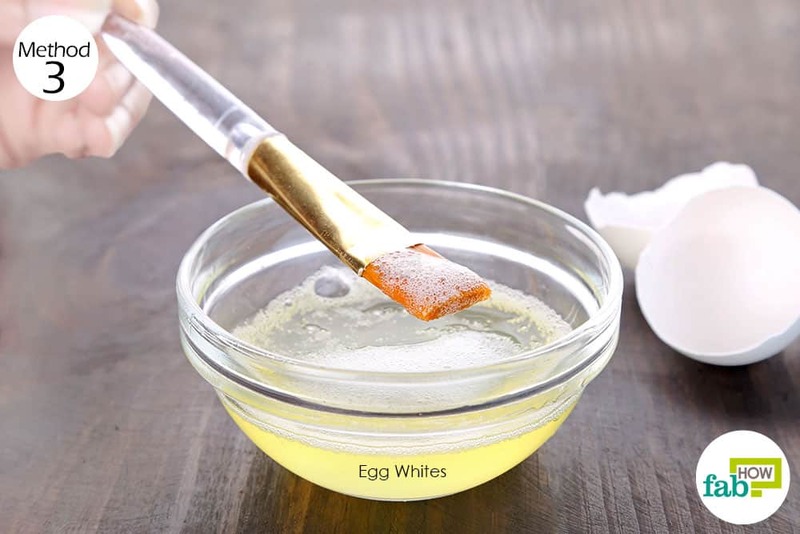 While there is no scientific proof for how egg whites work to reduce a fever, many people vouch for this remedy’s effectiveness. 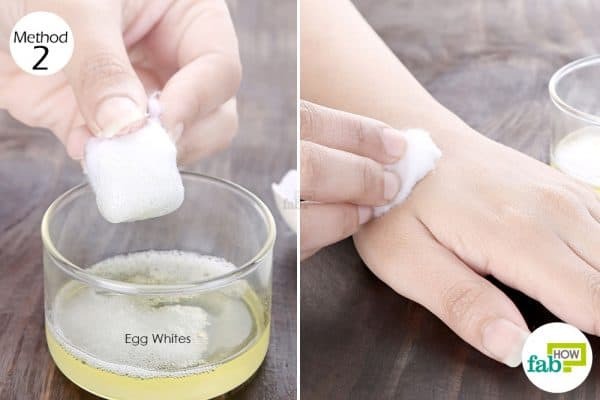 One possible explanation is that egg whites help absorb body heat through the sweat glands on the soles of your feet, thus bringing down the body temperature and making this remedy one of the best uses of egg whites for health. Apply a layer of egg whites on the soles of both your feet. 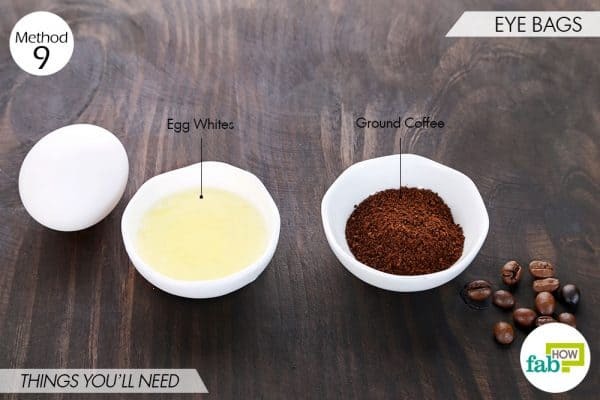 Once the egg whites dry or warm up, apply a fresh layer. Continue to apply several layers until your body temperature stabilizes, which should take about 20 to 30 minutes. Egg whites contain collagen, a type of protein found in abundance in our bodies. When egg whites are applied on stretch marks, the collagen present in them helps repair and tighten the stretched skin and improve its appearance quickly. 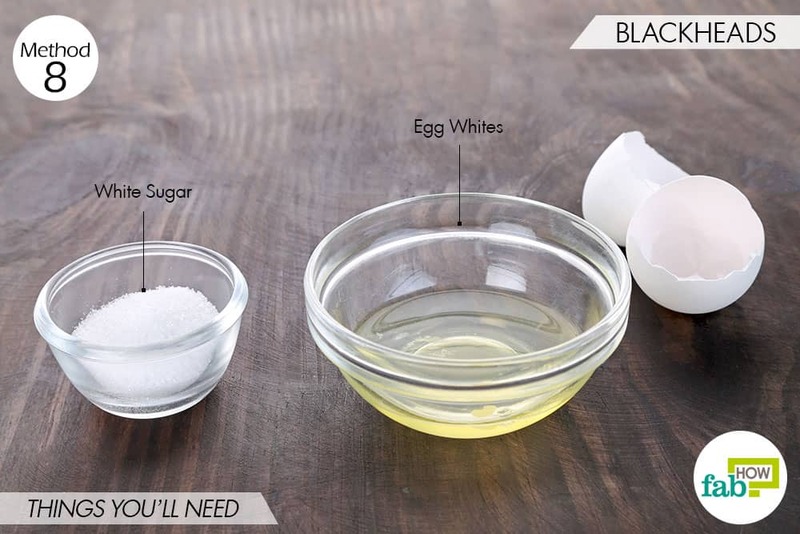 Clean the affected skin thoroughly before applying the egg whites. Use a clean applicator brush to apply a thick layer of egg whites on the stretch marks. Let the layer dry completely before you rinse it off with cool water. Pat your skin dry and apply some olive oil. The oil is rich in antioxidants and will further aid in repairing the skin. Apply the egg whites 3 times daily for a couple of weeks until you notice a visible improvement. Enlarged pores are a result of excess oil secretion by the oil glands in your skin. Large pores not only mar the appearance of your skin but also give way to acne and blackheads. 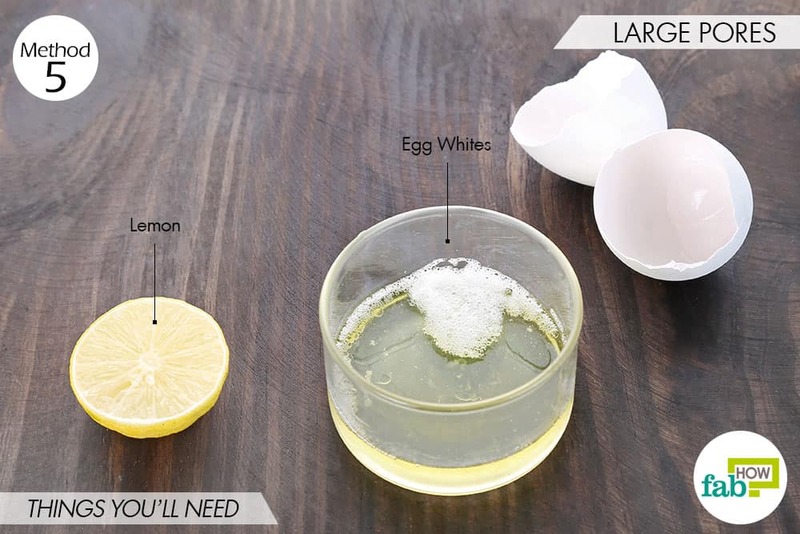 Egg whites can help pull the excess oil out and shrink the pores considerably. 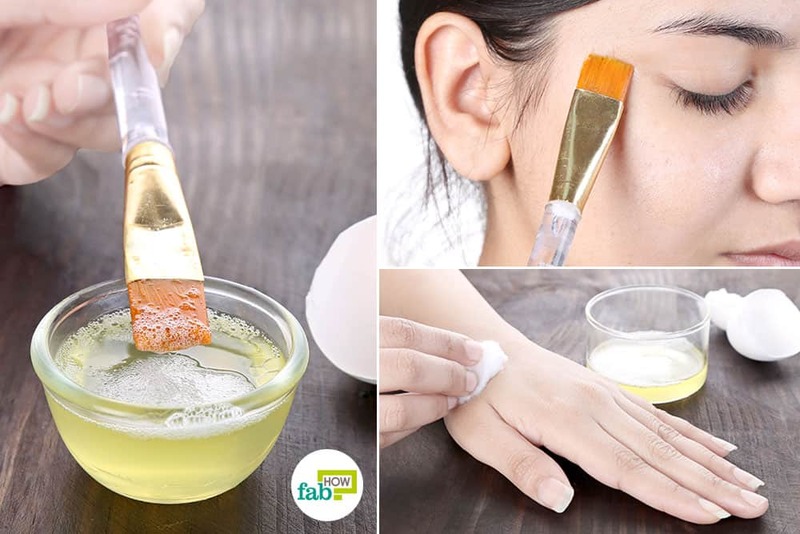 To use egg whites for large pores, you will need to combine them with lemon juice that will further cleanse the pores and also work as an astringent. Break open 2 eggs and separate the whites into a bowl. 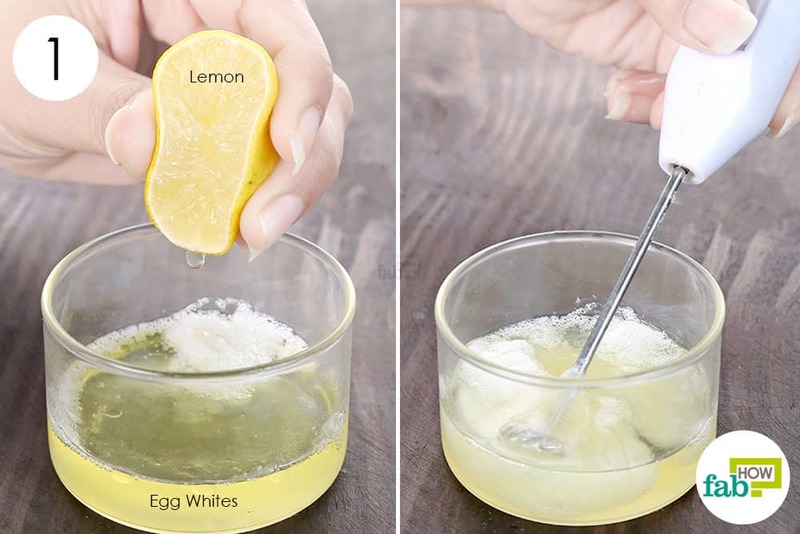 Squeeze a few drops of lemon juice into the egg whites. Use a hand blender to whisk up the ingredients. Use a clean makeup brush to apply a thin layer of the blend all over your face. Avoid the eye region. Wait at least 10 minutes to let it dry completely. Apply this egg white mask 2 or 3 times a week for a couple of weeks to shrink large skin pores. Also known as ‘laugh lines’, crow’s-feet are the tiny wrinkles that form on the outer corner of your eyes. The proteins in egg whites help reverse the aging process. Egg whites also contain magnesium that stimulates skin renewal and potassium that hydrates skin to keep it supple. 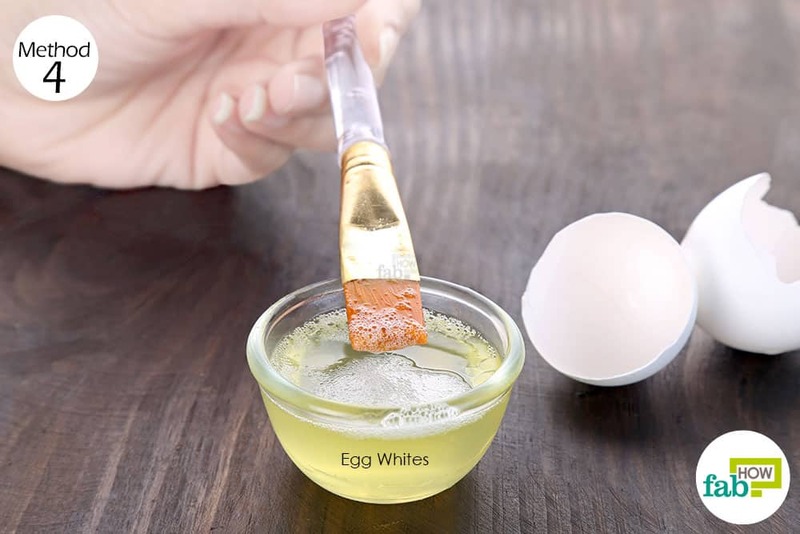 Regular application of egg whites will help reduce the fine lines to give you firm and younger-looking skin, making this remedy one of the best uses of egg whites for beauty. 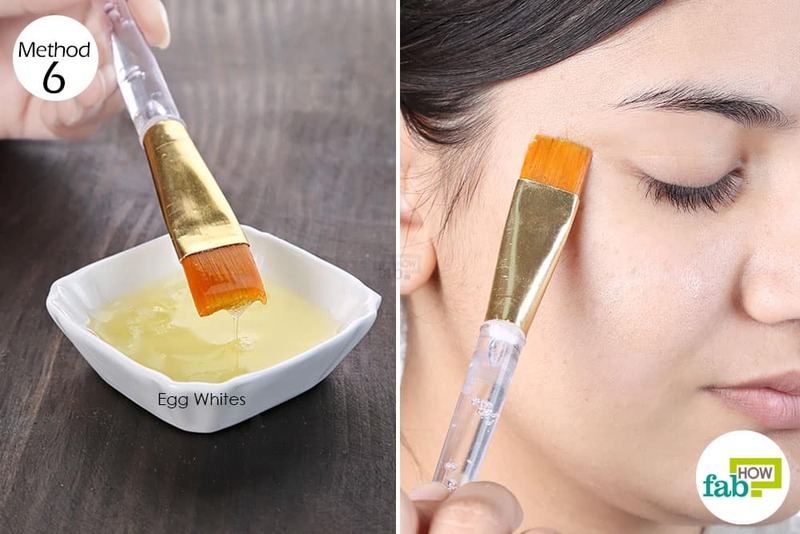 Apply egg whites on the outer corners of both eyes and along the cheekbones. Repeat twice every week until you get satisfactory results. 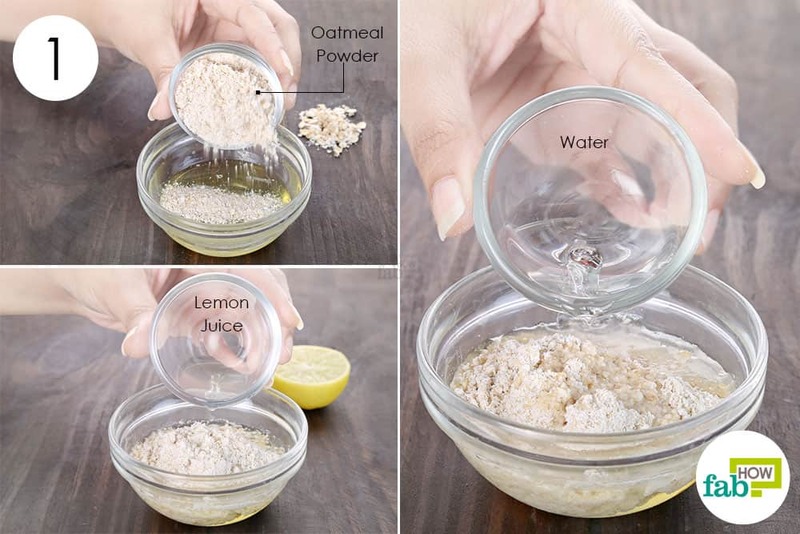 If you are doomed with oily skin, a homemade face mask made of egg whites, oatmeal and lemon can be of some help. The egg whites will tighten your skin, and the oatmeal will work as a natural cleanser to remove oil and dirt from the pores. Lemon also will help regulate oil secretion. Put the whites from 1 egg in a mixing bowl. Add 2 tablespoons of oatmeal. Add 1 tablespoon of water to help blend all the ingredients. Use a motorized blender to get a uniform paste. Wash your face and pat your skin dry. Using an applicator brush, apply an even layer of the paste all over your face, except the eye region. Leave it on for 15 to 20 minutes, then rinse your face with water. Use this face pack twice weekly to maintain oil-free and healthy skin. Blackheads are one of the most common skin problems faced by people with oily skin. Impurities and sebum (oil) clog the skin pores. These impurities get oxidized when exposed to air and turn black, creating blackheads. Since egg whites have skin-toning properties, a regular application can help shrink your pores and reduce the appearance of blackheads. 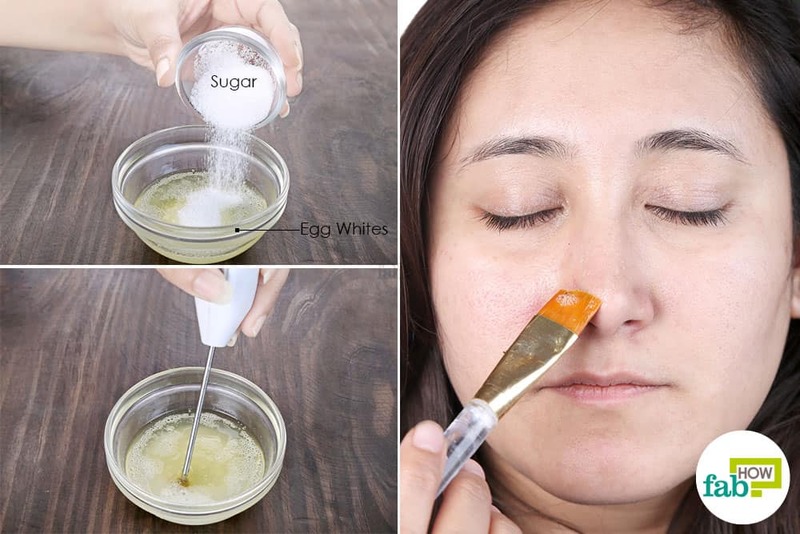 You can combine egg whites with sugar that works as a gentle exfoliant to slough off dead skin cells and dirt from the pores. Break open 2 eggs and separate the egg whites into a bowl. Whisk up the whites with a fork. Add 1 tablespoon of white sugar. You can also use brown sugar. Apply the blend either on the blackhead-prone areas or your entire face. Gently massage the blend on your face in circular motions for 1 to 2 minutes. Leave the mask on for 15 to 20 minutes, then rinse it off with water. Alternatively, you can apply one layer of the mask and cover your face with a tissue. Let it dry a bit and apply another layer on top of the tissue. Let the mask dry completely, then remove it like a peel-off mask. 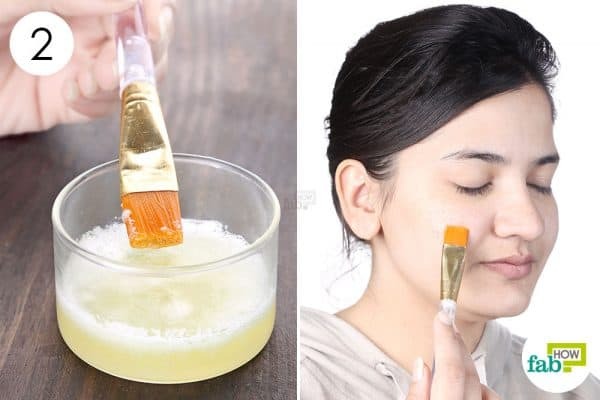 Use this mask 2 or 3 times a week for 1 month to get rid of blackheads. Egg whites work miraculously in removing under-eye bags. The enzymes present in egg whites help reduce the inflammation and improve blood circulation to bring down swelling under the eyes. You can combine them with coffee to increase the effectiveness. The caffeine in coffee works as a diuretic to drain out fluid accumulated under the eyes, thus reducing puffiness. Put the whites from 1 egg in a bowl. Add 2 teaspoons of ground coffee. Use an applicator brush to apply the paste under your eyes, as shown in the image above. 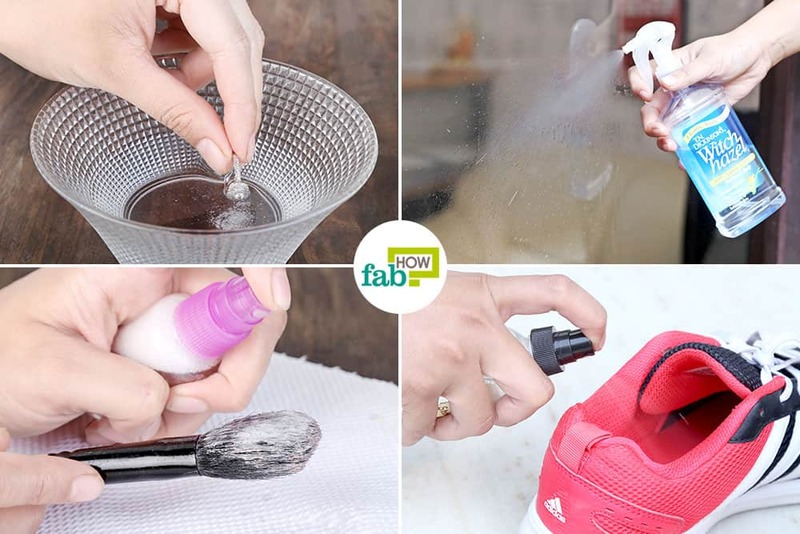 Gently wipe off the paste with a wet cloth and apply a moisturizer. 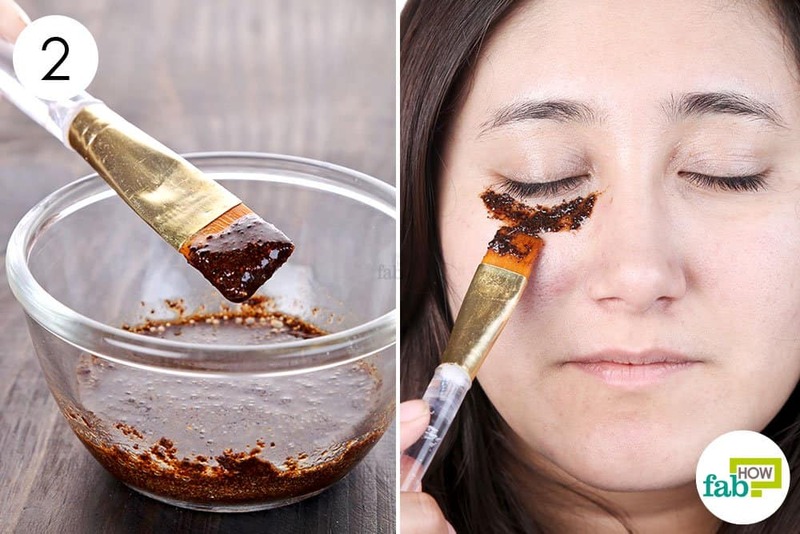 Do not apply too much pressure, as it could break the capillaries under your eyes and lead to dark circles. Large and clogged skin pores are a breeding ground for bacteria, which manifests in the form of acne. 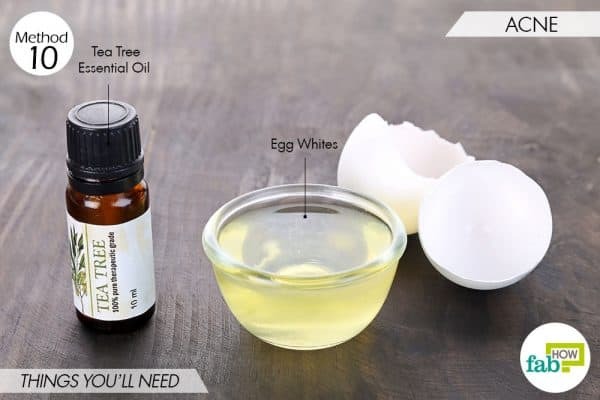 Egg whites along with tea tree essential oil can serve as an effective remedy to banish this common skin condition. 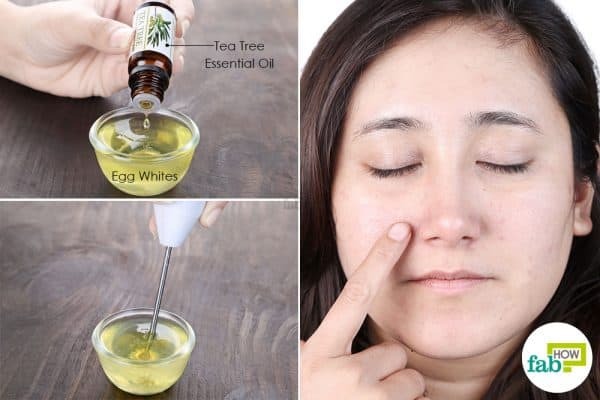 The egg whites help clean and shrink the pores, while tea tree oil works as a strong antibacterial to prevent further breakouts. Put the whites from 1 egg in a small bowl. Use a motorized blender to mix the two well. Apply it all over your face, but not too close to your eyes. Wait 15 to 20 minutes, then rinse it off with tepid water. Pat your face dry and apply a light moisturizer. 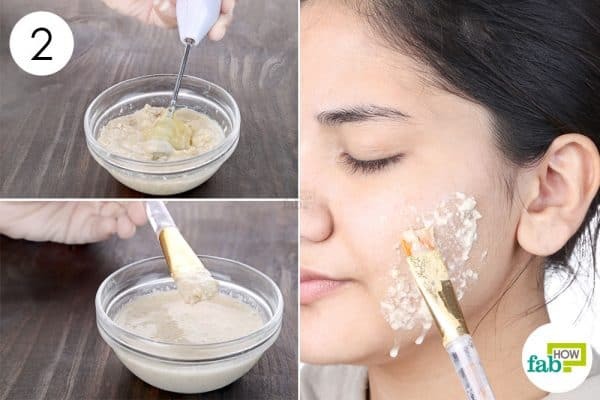 Use this remedy 1 or 2 times a week to banish acne and get clear skin. Since egg whites can be messy to apply, lean over a sink when applying a face mask to avoid soiling your clothes and surroundings. 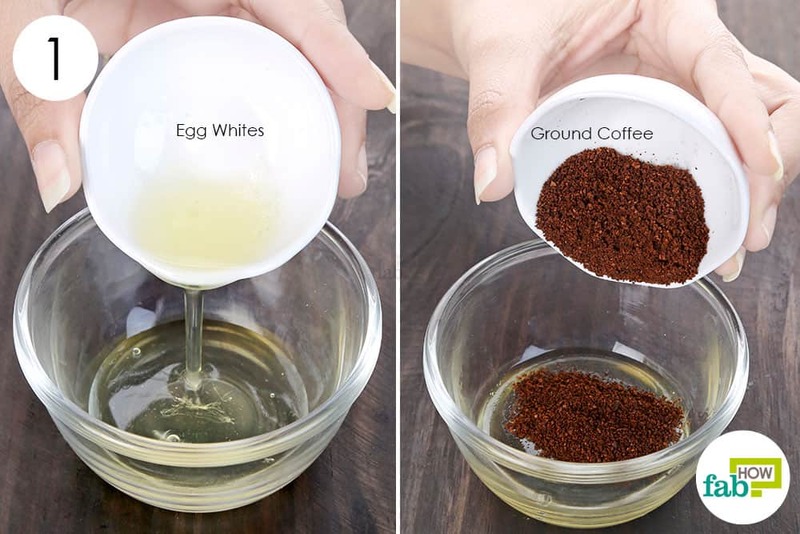 If needed, you can learn some easy hacks to separate the egg yolk from the whites. 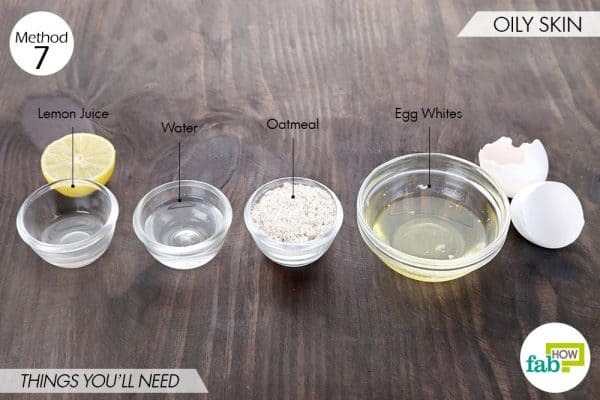 You can also try some other egg white-based face masks to treat skin troubles.